I've written quite a bit in the past about cholesterol, when it's a cause for concern, and what you should do about it. Dietary cholesterol, such as what you find in eggs, isn't really the enemy. But other lifestyle choices, such as eating a high-sugar, high-fat diet and skipping exercise can cause your LDL ("lousy") cholesterol levels to be higher than is healthy. 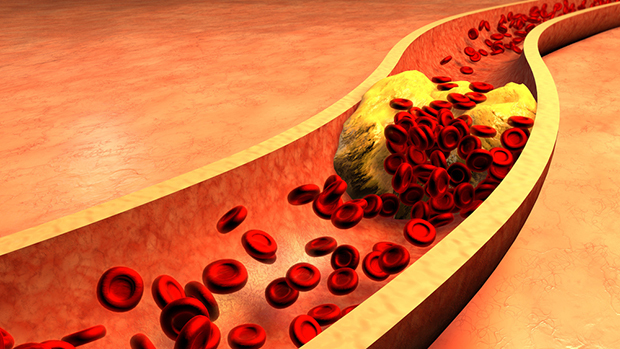 However, there's a health condition that can contribute to high LDL cholesterol as well. And fixing this condition can lower your LDL without statins. A recent study evaluated 11 non-obese participants, 16 obese participants with hypothyroidism, and 13 participants with hyperthyroidism. The researchers found that those with hypothyroidism tended to have much higher levels of LDL cholesterol than the members of the other two groups. This was likely due to an increase in cholesterol synthesis. Treating the participants' hypothyroidism helped lower their LDL levels. The researchers suspect that this could be because thyroid hormones help the body convert cholesterol into bile. Interestingly, however, people who are not overweight are less likely to have issues with biliary cholesterol secretion. If you're overweight and have had trouble getting your LDL cholesterol into a healthy range, you may need to be tested for hypothyroidism. Find a doctor who will be willing to work with you even if your tests initially show up in the "normal" range. That's because what's normal for some people can be way too low for others. If you do have a thyroid issue, correcting it could help lower not only your cholesterol levels, but your weight as well. If your thyroid doesn't turn out to be the culprit or if you simply want another tool for working on your cholesterol, I recommend Mediterranean Cholesterol Formula. It contains several phytochemical-rich extracts and nutrients found in the Mediterranean diet and Traditional Chinese Medicine to support healthy blood pressure, blood sugar, cholesterol, and triglyceride levels. Taking it along with your thyroid supplements or medication can lower your LDL even more.